Happy Holidays, friends! 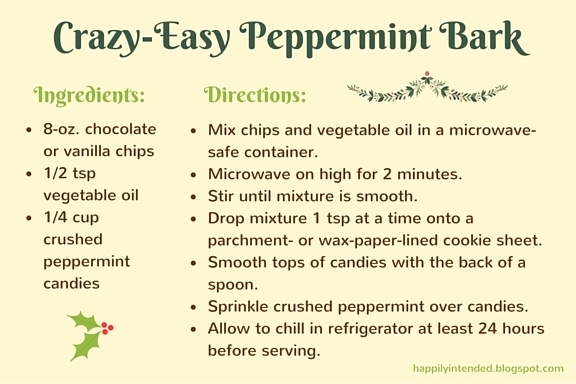 If you are a fan of peppermint bark and easy recipes, then this is for you. 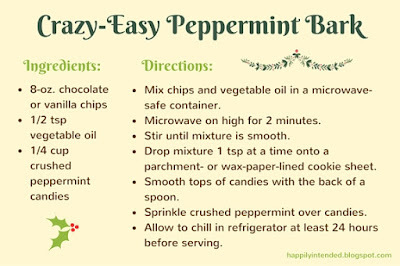 Print the festive recipe card below as a little token of my appreciation! For a larger version, click here.